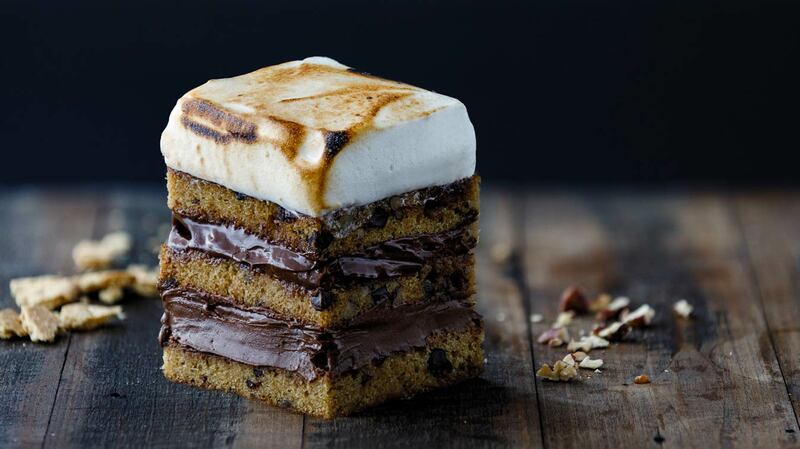 Today is National S'mores Day so we pulled out our S'mores Extract and got to work! We think you'll like this fluffy cake studded with chocolate and toasted pecans, yum! 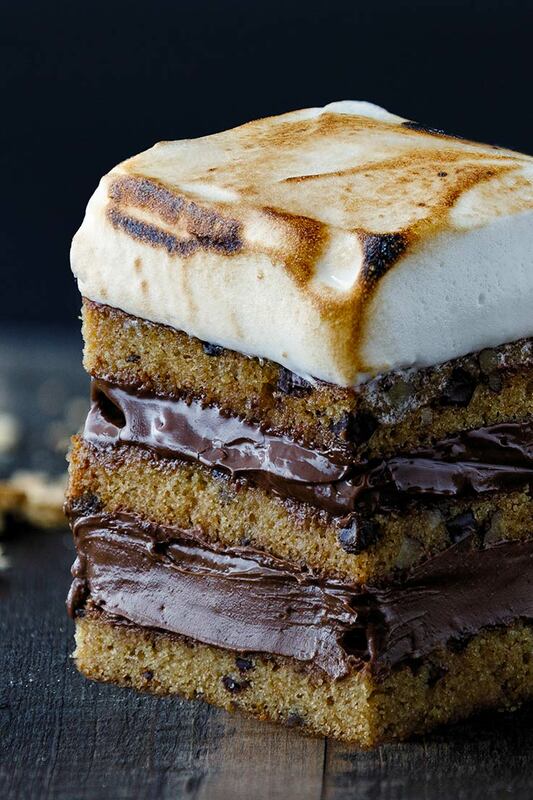 This S’mores Cake is a great last-minute bake sale addition with a simple layer of Almond Milk Chocolate Spread on top or it can be converted in to a decadent birthday cake with luscious layers of chocolate and marshmallow goodness. Makes one 9x13 pan or 24 standard cupcakes. 1 tbsp Amoretti® Natural S'mores Extract W.S. Preheat oven to 350°F. Grease a 9x13 baking dish or 2 standard muffin pans. Whisk melted butter, brown sugar, and Blue Agave Nectar until combined. Add the eggs one at a time, stirring well after each addition, then stir in Madagascar Bourbon Vanilla and Natural S'mores Extract. Fold in the chocolate and nuts. Pour into prepared pan and bake for 30-35 minutes for 9x13 or about 20 minutes for cupcakes, rotating pan halfway through baking time. Cool before spreading Almond Milk Chocolate Spread on top and sprinkling with more chopped nuts, mini marshmallows, or any additional toppings of your choice. We chose to make two layers of cake with Almond Milk Chocolate Spread in between and a fluffy marshmallow frosting on top. Refrigerating the cake for at least an hour or two will make cutting it in half much easier.